According to New Hampshire motor vehicle accident statistics compiled by the National Safety Council and the National Highway Transportation Safety Administration, despite the fact that there are an increasing number of safety features in automobiles, the number of car and truck crashes causing serious injuries continue to rise. Following a New Hampshire motor vehicle accident, you will most likely be asked by paramedics and first responders at the scene how you are feeling and if you wish to be taken to the hospital. Although you may not be feeling severe pain following a crash, it is still a good idea to be examined by the emergency medical technicians (EMTs) and consider immediately going to an emergency room (ER) or urgent care facility. Particularly with soft tissue neck, back, and shoulder injuries, the onset of pain and symptoms may not occur until days or even weeks following an accident. This article will explore some treatment options you should consider following a New Hampshire motor vehicle accident and the way insurance companies will likely view these treatment decisions. Immediately following a crash, it is important that you seek medical treatment at a hospital or urgent care center if you are injured – and that you not drive yourself. You are typically better off traveling in an ambulance or having a friend or family member come to the accident scene and take you to the hospital. 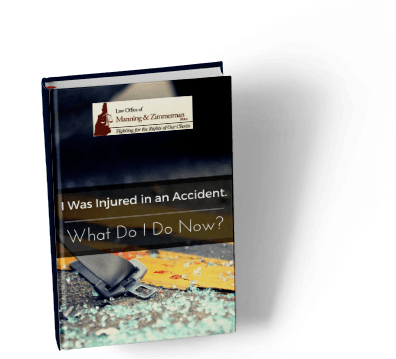 If an insurance company learns that you did not seek treatment immediately following a New Hampshire motor vehicle accident, it will negatively affect the way they value your personal injury case. The same is true if you drive yourself to an ER for treatment. Rightly or wrongly, insurance adjusters believe that if you did not seek immediate treatment following a crash, or if you were “well enough” to drive yourself to a hospital, then you must not have been injured all that badly. Your best bet is to seek ER treatment immediately following a crash if you feel you have been injured, even if you don’t feel intense pain or don’t believe that you have been injured seriously. Unless you have emergency medical training, it is better to be safe than sorry. Ordinarily, EMTs and ER personnel will ask where you feel pain upon examination. Be sure to answer their questions completely and be thorough in describing your complaints and symptoms. ER physicians and nurses typically dictate a report which is then reduced to writing. These ER reports, along with all imaging studies (such as x-rays and MRI’s taken) and medical treatment reports , are forwarded to the defendant’s insurance company for consideration. Be as thorough and specific as possible when describing the nature and extent of your symptoms to EMTs, ER personnel, and physicians. Prior to leaving the ER, the doctor will provide you with discharge instructions for treating your medical condition (such as taking medication on an as-needed basis or doing home exercises). The ER doctor may also recommend that you follow up with your primary care doctor – or with a specialist or physical therapist – as soon as possible. When a physician makes those kinds of recommendations, it is essential that you follow through. Failing to do so can have negative ramifications on your personal injury case (at least in the eyes of an insurance company adjuster) and can severely affect your recovery. You should fully comply with any discharge instructions provided by an ER physician prior to your discharge. If you have been injured and it is not safe for you to be driving, it is important that you avoid driving yourself home from the ER following your examination and treatment. Again, from an insurance adjuster’s perspective, driving home from an initial ER visit (or to/from any medical or physical therapy appointment following an accident) raises questions as to the seriousness of the injuries you’re claiming to have sustained. Following a car crash, if you have been injured and need to rely on others for transportation to and from medical appointments, then you should do so. It is important to limit your activities and give your body (and mind) time to rest and get better. Initial medical treatment following a New Hampshire motor vehicle accident can be stressful and painful. The best thing you can do is surround yourself with a support system of dependable family and friends you can rely on for transportation to/from medical appointments, and for necessary daily care, as you begin the injury recovery process. The last things you want to worry about during this initial treatment period are legal filings and deadlines. That’s where the experienced personal injury attorneys at the Law Office of Manning & Zimmerman, PLLC will be of assistance to you. If you have been injured through no fault of your own, contact the New Hampshire motor vehicle accident lawyers at the Law Office of Manning & Zimmerman, PLLC. There are no up-front costs for our services. All personal injury and workers’ compensation cases are handled on a contingency basis, meaning that we are only paid for our services if we successfully recover damages from the responsible party. For a free consultation, call (603) 624-7200, email us at info@manningzimmermanlaw.com, or contact us by using the “contact us” form or chat feature on our website.